Summer Residency Session VI, August 14-26, has been organized by Lisa Merida-Paytes and will feature guest artist Kelly Rathbone. Paytes shared insights into the development of the session theme and the plans she has for the residency. When I proposed this residency, I had three things in mind; to escape the daily practices that overwhelmed me, to have uninterrupted time in the studio and to work along side other artists I admire. This unique residency grew from those ideas and brings a diverse group of sculptors to a salon-centered session where they will work perceptually and expressively using a live model. 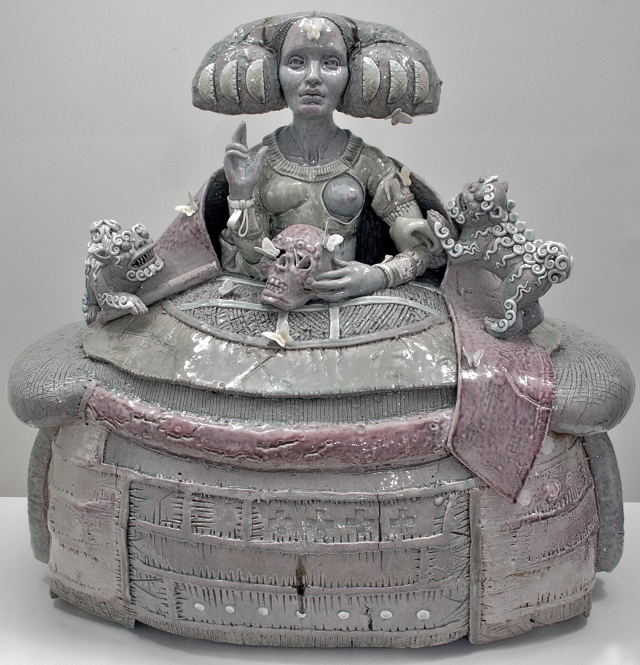 The residency will allow the group to discuss contemporary figuration while working in a classical format not often found in the ceramic community. During the residency, the artists will work with live models during morning and afternoon sessions, in order to explore the figure through diverse approaches, materials and concepts. The rest of the time the artists have to interpret the figure poses into their own work. This particular group of artists’ work ranges from wheel thrown and large hand built ceramic forms to mixed media installations, all inspired by the figure. Thus the techniques used will range from solid modeling to hollowing, and construction using coil, slabs and the wheel. We plan to hold group discussions and critiques as we learn from one another in the studio. Lisa Merida-Paytes holds an M.F.A. from the University of Cincinnati (1997) and a B.F.A. from the Art Academy of Cincinnati (1991). 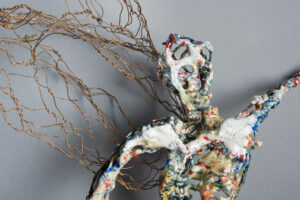 She has exhibited her work regionally, nationally and internationally for the past 19 years. Summer Residency Session V, July 31-August 12, 2016, has been organized by Lauren Herzak-Bauman. 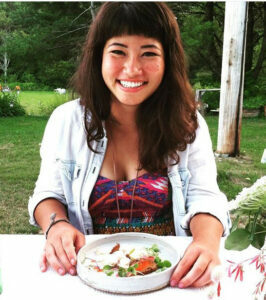 Here she shares her process for choosing the session theme and plans she has for the 2 weeks at Watershed. A limited number of spaces are still available in this session. Register here or apply for a scholarship to attend. 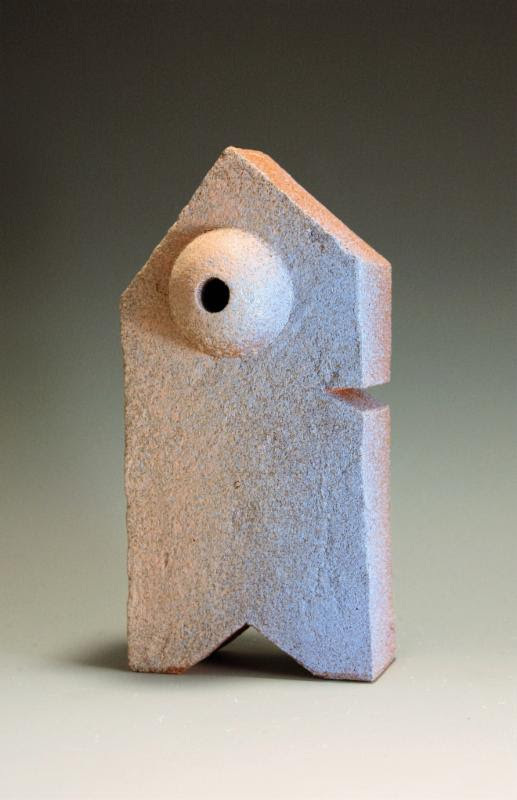 Several years ago, a good friend of mine, Casey McDonough, invited me to join the Romantic Robots, a collective of artists connected by the common threads found amongst their work in clay. In 2012, the Romantic Robots attended a residency together, with the intention to collaborate on studio projects and plan an exhibition. We learned that we not only enjoyed each other’s work but we also enjoyed working together. One evening, over tacos, after a mini storm and a double rainbow, we found ourselves scribbling out charts and patterns for a small sculpture exchange and group exhibition. 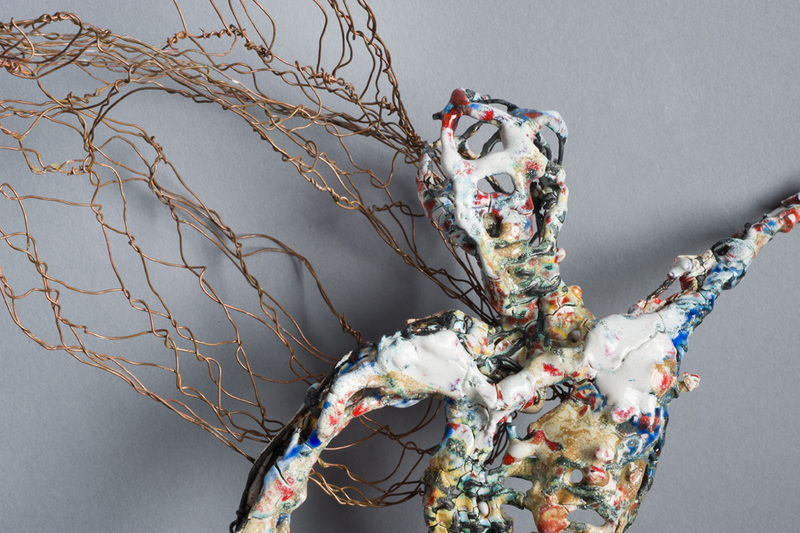 This small seed of an idea sprouted an ambitious collaborative show that included over 200 small-scale ceramic sculptures. 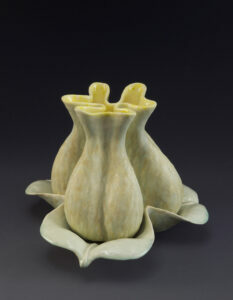 Ceramics as a medium encourages collaboration. Firing a wood kiln is a perfect example of the collaborative physical labor and mental power needed to get a good result. But how does one collaborate within their work, something that can seem like such an individual endeavor? What happens when we make the communal nature of the process the focus of the work? And what happens once the collaboration is over? These questions inspired me to organize a Watershed residency and explore the impetus to collaborate. I attended a residency at Watershed once before in 2003. It was the summer before my last year in undergraduate school and I found myself questioning my next steps. Watershed provided me with a beautiful and safe space in which to work out ideas and clarify my goals. Thirteen years later, I’m thrilled to return to Watershed and lead a residency focused on collaboration. The Romantic Robots will also reunite at the residency and we are looking forward to sharing ideas with other artists and seeing where the two weeks takes us. I encourage session participants to come with an open mind and explore how their personal practice changes through collaboration. In advance of the residency, I will send out materials and readings to better prepare for the session. I will come armed with books, more readings, discussion topics, and studio plans to help us work collaboratively. I look forward to seeing how our processes merge and how each artist’s work develops over the two weeks together. Any artist is welcome to join Session V. Click here to register for the session or apply for a scholarship. My experience working at Watershed and Dandelion Spring Farm changed the way I think about myself, the way I work, and the things I care about. I grew mindful of Brick Hill Road (the dirt road shared by Watershed and the farm) as a fertile space where people come to work in earnest–where the work is tied to the rich soil and clay of the area and to the energetic and generous communities that flourish there. Watershed welcomes artists at all stages in their careers. We joined one another as peers, sharing space, materials, and ideas. It was easy to approach someone I didn’t know and discover we had much in common during a casual conversation. Over the course of the residency, my experience working with the studio staff emboldened me to take on unfamiliar projects and helped me develop new skills, confidence and connections. I had never worked on a farm before, but I took to it quickly and was warmly welcomed into the community. My intuition and hand-skills used in the clay studio easily transferred to farm work as I found a rhythm in the repetition of seeding and picking. The farm crew consisted of bright women from all over the country and world who were willing to answer my questions and help me gain familiarity with the tools and chores. I looked forward to walking down the hill each afternoon to find Dixie, the farm’s pet lamb, curled in Brie’s lap or to learn about medicinal plants from Beth in the herb garden. Some of my favorite moments occurred when life at the art residency and farm bled together. 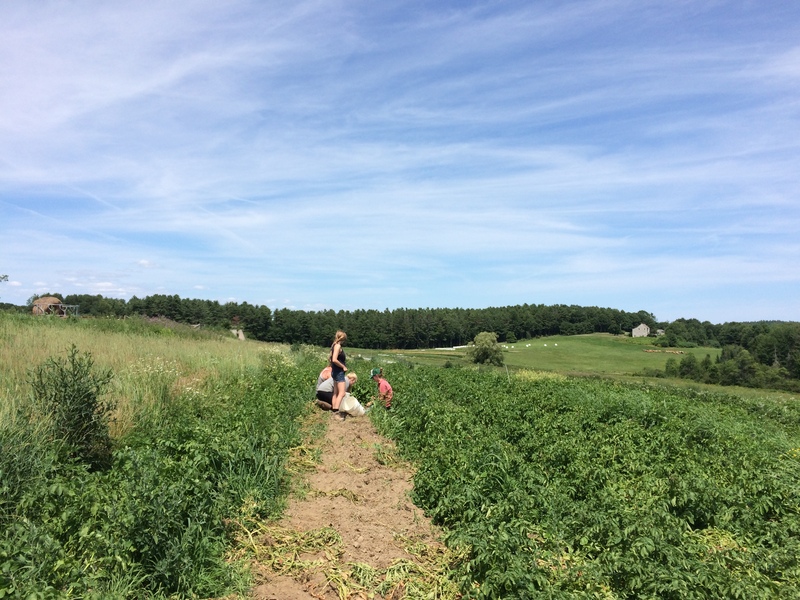 I loved finding cucumbers, squash, and garlic scapes on the Watershed dinner table, knowing that we had harvested them just days or hours earlier for a truly farm-to-table meal. Conversations about food over a lunch at Watershed spurred resident artists to visit me in the greenhouses after our meal and find inspiration from the forms and tastes of the farm. Some evenings, the farm apprentices would come visit me in the studio for a post-dinner wheel throwing lesson. 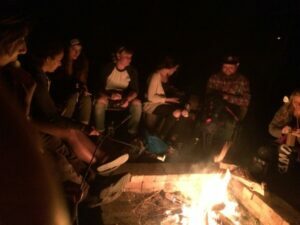 Farmers and artists would often gather around the campfire, sharing stories and ideas late into the night. I particularly responded to the sense of community found on Brick Hill Road, and to the similar ways that ceramic artists and farmers use their hands to process earthen material and create from it. Working with the soil produces a similar magic to watching an object take form on the wheel–tiny seeds germinate as their energy pushes through the earth to generate something new. These parallel experiences informed my creative practice during the residency and I anticipate that they will contribute to further developments in my life and work in the future, as will the community that I found during my time in Maine. Watershed is accepting applications from current college juniors and seniors to participate in the Farm & Fire Fellowship program in July of 2016. Application deadline is March 31. This past fall, artist and architect Tim Mitchell paid homage to Watershed’s history as a waterstruck brick making facility by creating a body of work based on the old wooden brick molds found piled high on the ground floor of the Watershed studio. 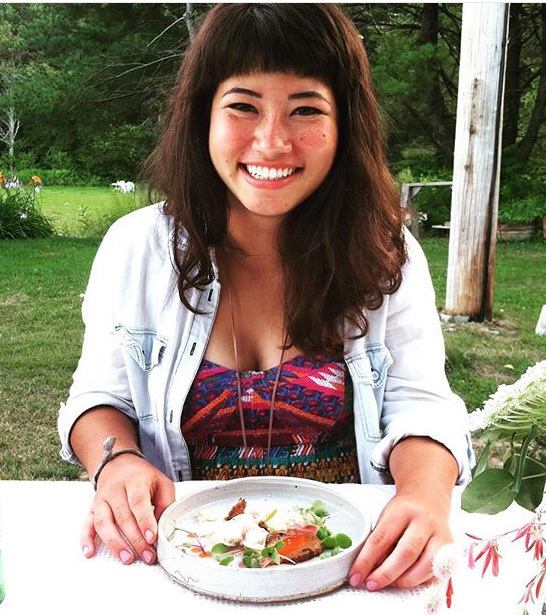 Mitchell developed an interest in the molds as a summer artist-in-residence in 2013. When he decided to return for last year’s fall residency, he did not have a set plan, but he knew he wanted to pursue a project that utilized the molds. “I looked at the process as an experiment, realizing there would be many variables that I had to grapple with as I went along,” Mitchell explained. He spent the initial days of the residency taking stock of the variety of mold shapes and sizes, and ultimately decided to work with the uniquely shaped custom molds that had been used for cornices, arches and friezes. He also visited the Morin Brick Company in Auburn, ME to learn more about the brick-making process. He then experimented with traditional methods of making waterstruck brick, which utilizes a relatively wet clay body. However, the drying process proved challenging in Maine’s humid September weather, just as it did for Watershed’s original brick makers. 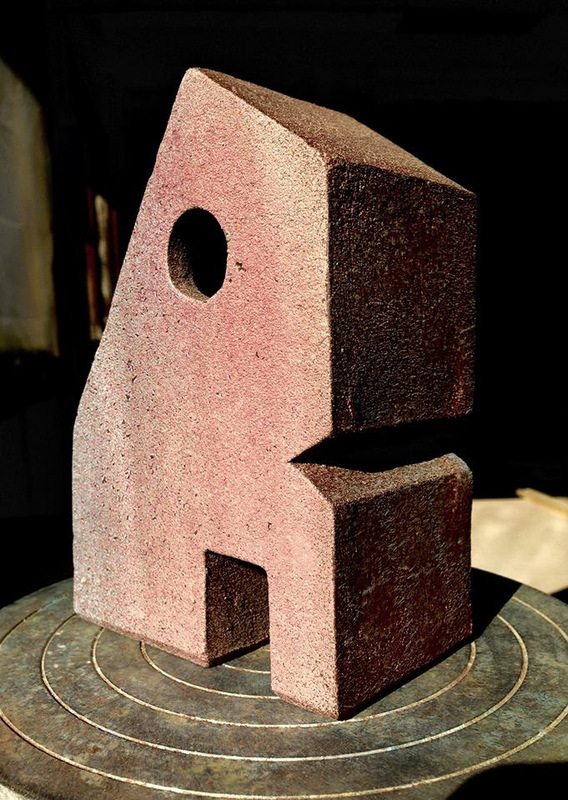 After several days of waiting for bricks that weren’t drying, Mitchell decided to put the solid pieces aside and construct works from slab that matched the dimensions of the molds. As the work continued to evolve, Mitchell also added sculptural elements and cut away pieces from the forms. When it came to choosing a surface treatment, Mitchell chose to experiment with mason stains. His table was covered with an array of stains as he mixed colors in yogurt cups, arranging and re-arranging the pairings of colors. “I don’t usually use a lot of color in my work, so I spent lots of time playing with color combinations before applying the stains to the sculptures. I felt like a kid in school again using the color wheel as much as I did,” Mitchell said. Before the end of the residency, some of the cast bricks finally dried enough to be transformed into sculptures as well. The resulting work is in two series, one made of hand-built slabs and another of solid units cast directly from the Watershed molds. The final pieces reference their architectural origins but also have playful figurative elements. Mitchell refers to the works as “creatures,” noting their life-like qualities and obvious personality. Plans are underway to mount an exhibition of Mitchell’s pieces and he continues to work on the project in his own studio. See more photos of Mitchell’s sculptures. Watershed summer sessions are starting to fill but there is still space available in most sessions! Over the coming weeks, each session’s leader will be guest blogging about the upcoming 2016 residency that they have organized. 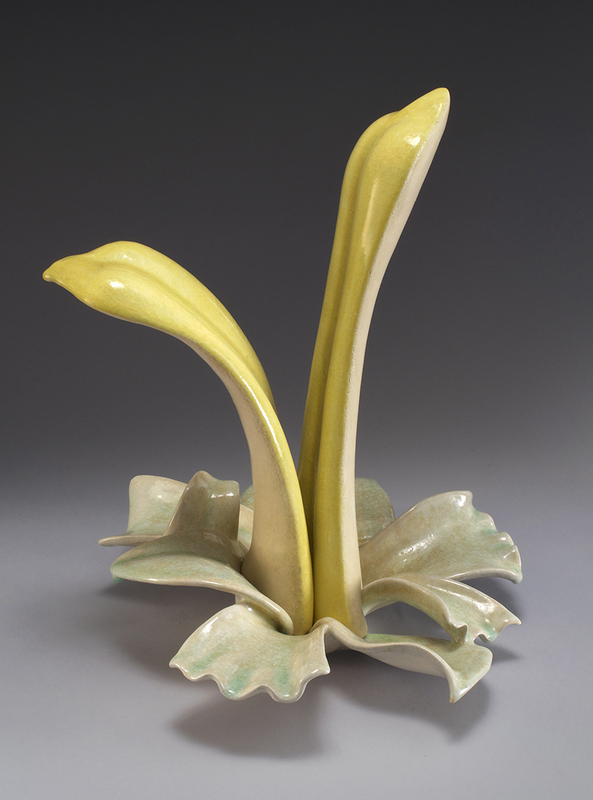 Our first post comes from Lisa Conway, leader of Summer Session II: Ceramics in Nature, from June 19 to July 1. I grew up in Michigan, went to grad school in Louisiana, and have progressively made my way west over the past twenty-five years. I’ve lived in Alaska and Canada and spent beautiful summers in Colorado and Montana, but have made Portland, Oregon my home since 1999. I’ve completed many residency programs over the years and was lucky to be invited by Lynn Duryea to participate in a Watershed Artists-Invite-Artists (AiA) session in 2007. I feel even luckier to be going back this summer and to share the experience with a whole new group of people. For me, Watershed offers just about every aspect I could want in a residency program. The setting is beautiful and the food is great. There are few distractions and the staff really know how to anticipate all your needs so you can make the most out of a two-week session. The studios have a calm, quiet energy to them. I love the way light filters in through the rustic wood buildings there. I’m not a very “techie” clay person, so Watershed is just right for me with a natural, secluded, almost romantic atmosphere. I chose the theme “Ceramics in Nature” for this session as it sums up my personal relationship with clay and is broad enough to encompass many different ways of working. I love that we have potters and sculptors and installation artists all coming to this session. I’m especially looking forward to seeing how others relate to the theme and using that as a launching pad to expand my own practice. I hope everyone else coming feels the same way! To get participants in this session kick started I’ll be sending out a list of readings in the upcoming weeks around the theme. I also hope we can all participate in a test-tile and a surface-texture swap exchange. I want to take advantage of the fields around Watershed with outdoor drawing sessions and see how those drawings may translate back into the studio. Mostly, I want everyone to have the opportunity for their own personal Watershed experience and come away inspired with new ideas and new friends. Session II still has several spaces available for any artist to join the session. Click here to register for the session or apply for a scholarship to attend. Happy New Year From Watershed! Ceramic artists create objects so central to our lives. You know how gratifying it is to savor your morning coffee or tea in a cup that fits perfectly in your hand, serve a meal on hand-made plates and platters, or engage friends in conversation inspired by a sculpture and its story. Like me, you also appreciate the dedication, research, experimentation, discipline, and artistic talent required to create these objects. 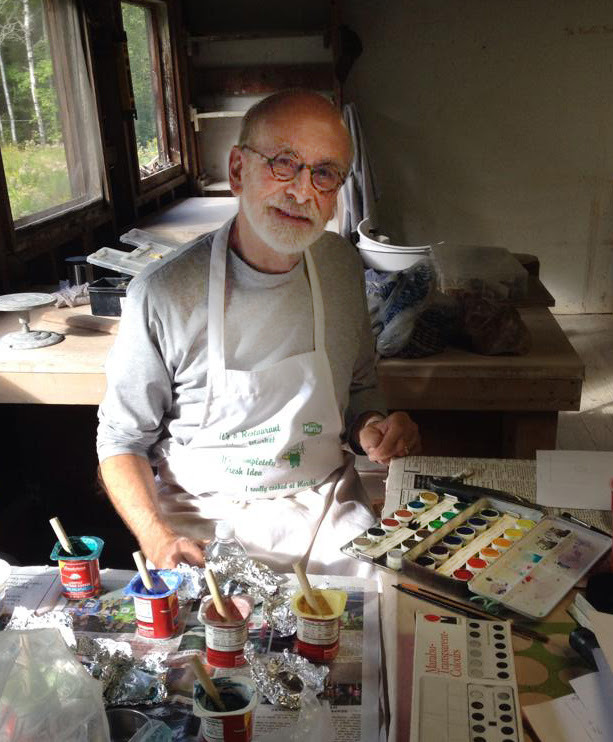 As an art enthusiast or artist yourself, you’ve seen or experienced the transformational power of a residency. Whether it is a young maker or an established artist ready to move in a new direction, the time away from the routine to explore new ideas, relationships, and collaborations can be art changing and life changing. As we begin a new year, all of us at Watershed extend our heartfelt thanks to the artists, donors, volunteers, and community and business partners that made 2015 so vibrant and successful. We look forward to welcoming you to campus in 2016, connecting at NCECA and other national events, and keeping you apprised of new opportunities and ways to stay involved with Watershed. P.S. Learn more about what makes Watershed unique and what your support can accomplish in the new year. P.P.S. Make sure to check out our 2016 Residency Sessions! …cords of wood did Watershed burn? …dozens of eggs were eaten by resident artists? …pounds of clay got used in the studio? Click here to learn what happened at Watershed by-the-numbers last year. 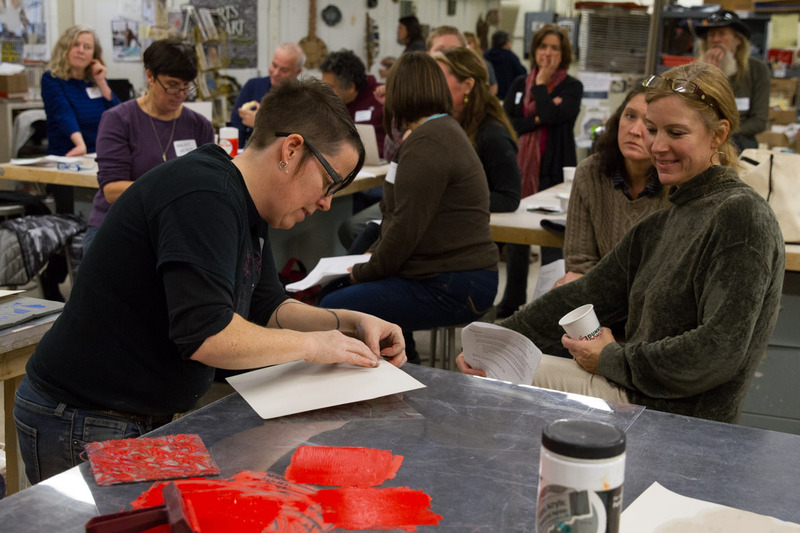 On Friday, December 4, Watershed brought together twenty-five Maine art educators for a workshop on ceramic surface printing techniques to use in the classroom. Workshop leader (and Watershed alum!) Hope Rovelto shared low-tech, cost effective methods for image-transfers and direct printing onto clay that educators can easily incorporate into their curriculum. Support for the workshop was underwritten by a grant from the Belvedere Traditional Handcrafts Fund of the Maine Community Foundation. In-kind support came from Lincoln Academy and ceramic artist & teacher Jonathan Mess, who provided studio space for the daylong session. Next summer, Watershed will host a one-week residency session for K-12 art educators. 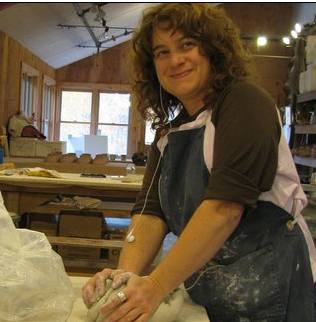 Art teachers with experience working in clay will learn from one another and from guest artists who will offer mini-workshops on studio techniques appropriate for K-12 classrooms. Maine educators are eligible to apply for $500 scholarships to offset their expenses. Space is limited and the session is filling quickly, so interested educators are encouraged to register soon. During the summer and fall, Watershed buzzes with activity as artists create and collaborate in the studio, share meals in the backyard, and spend late nights firing kilns and telling stories around the fire. Unique connections emerge each session as resident artists develop their work, forge friendships, and continue a dialogue long after they depart our campus. We hope the new blog will become a space where these connections and dialogues can continue to grow. With this in mind, we invite you to contribute to our virtual space, shaping and influencing it just like you do Watershed itself. A “Watershed moment” is a time that marks an important change. We encourage you—our artists, friends and supporters—to share your Watershed moment—when you experienced an important art-changing and/or life-changing event as a result of your time at or connection to Watershed. If you have news or a story that you’d like to share, please send it to us to post here. We hope these Watershed moments will become a regular feature of the blog and we look forward to hearing from you! Share your Watershed Moment with us! Watershed is the proud recipient of a three-year award from the Belvedere Traditional Handcrafts Fund of the Maine Community Foundation. 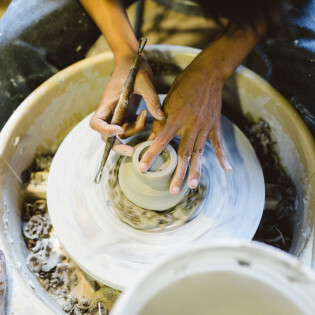 Grant funds are supporting outreach and marketing efforts, especially for local events that connect ceramics with locally sourced food and our neighboring farms. Funds are also supporting new educational programs for K-12 art educators interested in expanding their own ceramic practice and opportunities for their students. This includes scholarships to Watershed’s 1-week Summer Residency session in 2016 for K-12 Art Teachers. The Davis Family Foundation has supported a number of important facility improvement projects at Watershed in recent years. In September, Watershed was awarded a new grant for $14,600 to complete an updated property survey and engineering analysis of our campus that will help with the planning process for new studio and community buildings. We are grateful for this important foundation support and look forward to sharing the results of these initiatives in the months to come.